ℹ Omega-3 is a type of fatty acid that is essential for normal growth and development of the body. As the body itself is unable to produce it, it must be obtained from food. Omega-3 fatty acids are polyunsaturated, meaning that they have two or more double bonds, and are characterized by having the first double bond in the third carbon atom. Several types of omega-3 exist: docosahexaenoic acid (DHA) and eicosapentaenoic acid (EPA), both coming from animal sources, as well as alpha-linolenic acid (ALA), which is essentially found in vegetable sources. The EPA and DHA contribute to maintenance of normal heart and brain function, and to normal eyesight function. Fish oil a source of Alpha-linolenic acid (ALA), contributes to the maintenance of normal blood cholesterol levels. 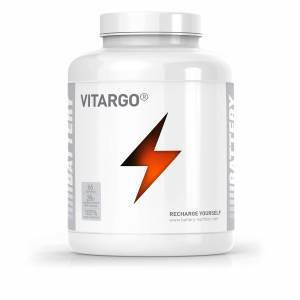 The beneficial effects are obtained with a daily intake of 250 mg of DHA and EPA. Our formula contains 120 mg DHA and 180 mg EPA per capsule! Daily two capsules provide the required quantity of ingredients. Glucosamine Omega-3 is a powerful combination of Glucosamine and Omega-3 fatty acids to help support healthy cartilage tissues and joints. Glucosamine, also called chitosamine, is found in our normal cartilage and in the covering of shellfish such as crab and shrimp. Glucosamine found in shellfish can be absorbs by our body well. Natrol® Odorless Krill Oil contains omega-3 fatty acids that are best utilized by your body because they are in phospholipid form. Since the cell membranes in your body are made of phospholipids, this allows the Natrol® Odorless Krill Oil fatty acids to be better absorbed in the cells. Flaxseed oil is a valuable source of essential fatty acids (EFA’s), fiber and other valuable nutrients. EFA’s are important in preventing and aiding the treatment of cardiovascular and skin diseases. The body needs these acids to function properly, but since it can not produce them alone, the best way to get them is through supplements. Naturalico’s fish oil is a high quality, indispensable source of omega-3 fatty acids and provides 800 mg. eicosapentaenoic acid (EPA) and 600 mg. docosahexaenoic acid (DHA) for maximum strength and efficiency. Omega-3 fatty acids are involved in almost all metabolic processes and are involved in the formation of cell walls. EPA PLUS, by Prozis , is a supplement derived from EPA, a fatty acid from the omega-3 group, essential to improve the functioning of the heart, brain and circulatory system. The EPA (icosapentaenoic acid) present in EPA PLUS plays a significant role in controlling and treating cardiovascular diseases, preventing LDL cholesterol from accumulating in the arteries.